Started 27 February 2017 by Barbora K.
Hello. Please tell me how to make buttons at the same level. When I insert a blank separator, they are aligned. But on the preview in the browser they are on different levels. 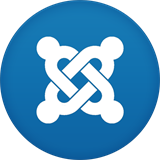 Can Joomla settings override Themler settings? Hi, If I specify that I want 4 columns in the blog layout in the Joomla menu manager does that override the Themler blog layout? Or does Themler override Joomla? Adapting site to tablet and smart phone. How do do this with columns?